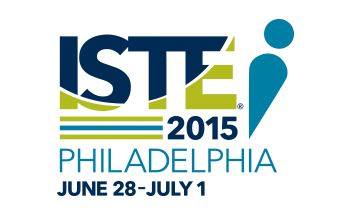 Connect with key partners at ISTE 2015! AVID has your educational audio needs covered with a variety of headphones and other audio products. Bloxx’s educational solutions safeguard against inappropriate web browsing, eradicate anonymous proxies, manage social media use, and simplify BYOD. The company’s security solutions provide SSL encrypted web services, BYOD/1:1 mobile identification & controls, granular social media controls, and proactive malware protection. Corel offers affordable, easy-to-use alternatives to other costly software options. GoGuardian protects students while browsing, helps educators maintain productivity, and provides advanced theft recovery for Chromebooks. Gripcase designs and manufactures iPad® and Chromebook cases and accessories for education. LapCabby offers a range of laptop, Chromebook, and tablet charging and storage solutions. LocknCharge designs and manufactures tablet/laptop carts, wall cages, and lockers that secure, sync, and charge mobile devices. Netop is the world leader in classroom management software, enabling teaching with technology easier and more effective. Spectrum offers furniture to meet every need with tablet/laptop charging carts, collaboration tables, multimedia lecterns, and more. Swivl is a complete video learning platform for lecture capture and presentations. TechSmith’s tools help educators everywhere integrate digital learning into their students’ lives.